We, like you, have grown tired of paying outrageous ice prices for our family events and celebrations. 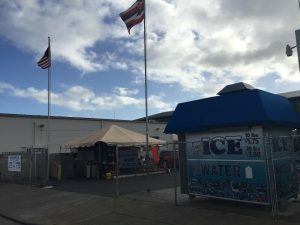 We started doing some research and soon found out that we could bring high quality ice at an affordable price to the citizens of Hawaii. Come give us a try and help stop the price gouging taking place on the working class and families of Hawaii. We are here for you! 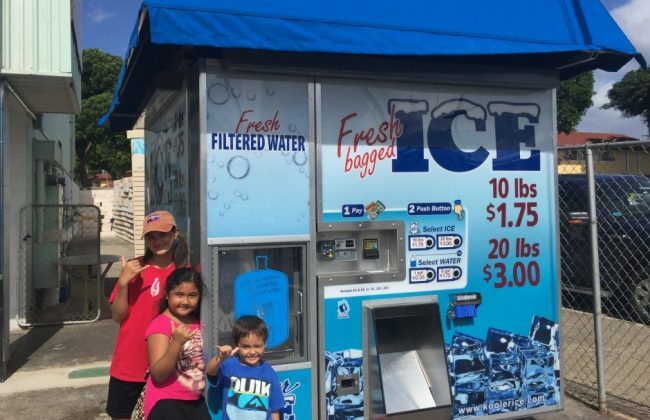 In 2015 we purchased a 100% American made Self-bagging ice vending machine and shipped it to Hawaii. 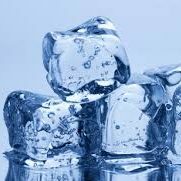 Our business model is simple, sell the highest quality ice and water at the lowest possible price. People thought we were crazy when they heard our prices. Grocery store executives and managers told us we should raise our prices by 50%. Our own customers have told us that our prices are “too low”. That’s just how we like it… Because Paradise Ice doesn’t have to come with a “paradise price”. Deep in the heart of Waipahu is a family and church doing wonderful things for the Waipahu community. What started as a seed planted in the minds of Pastor Joe Hunkin Jr. and his wife, their vision has now become a deeply rooted multi-branched tree that continues to bear fruit for our community each and every day. Pastor Joe Hunkin Jr., and his staff & family which includes daughter Hannah and current Pastor Headrick have become terrific partners with us and the Waipahu community as a whole. They offer many various outreach programs, a thrift store, food pantry, 24 hr homeless shelter, 24 hr onsite security, and many more services. We want to thank LOC for being great partners and for all they do for our community. Please check out one of their services or help them by donating to their many great causes.